The most important thing you can do after you receive an HIV diagnosis is to begin seeing a doctor. Make sure the doctor you choose is an HIV specialist so they are current on all of the new treatments and trends. This is very important because there have been so many improvements and conveniences to medications over the past several years. Your HIV specialist can begin monitoring your body and your HIV. Seeing a doctor regularly will help assure you’ll start treatment, get it right and stick with it . Your HIV specialist will start out with a basic clinical assessment. 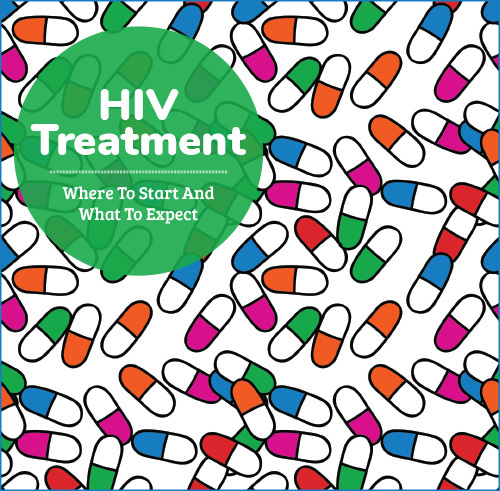 This assessment will measure where you are with regard to your HIV virus status, can determine other existing medical conditions, check medications you are currently taking to consider potential drug interaction problems and other factors that can help in making your first shot at a regimen an effective and trouble-free one. This is also a good time to make sure you have a good rapport with the doctor and his staff because you'll likely be a frequent visitor. Many people have actually become friends with their doctors and staff. It is extremely important that you are completely honest with your doctor and staff members. If you think a question might be a little too personal or intrusive, just ask why the question is important and listen to the answer rather than being evasive. Things you think are minor or have no significance can actually be very important to your treatment. - Lifestyle and convenience issues such as pill burden (amount of pills) and frequency of dosing. It's Recommended To Start Treatment Immediately. The one test that you’ll be given which is still important and used to determine more than anything else clinically when you would start therapy is a CD4 test. The CD4 test measures your CD4 T-cells or just “T-cells.” Your T-cells play an important part in the immune system and HIV, as time goes on, destroys them. The average person without HIV has between 500 and 1200 T-cells (which are measured within a cubic millimeter of blood). When your T-cells drop below 200 or when you have an opportunistic infection, you are considered to have AIDS. The World Health Organization (WHO) guidelines earlier (2006) gave the 200 T-cell mark as the point to start treatment. This is still a starting point in some developing countries. Until the recent guidelines change for the U.S., most physicians would start patients on therapy between the 350 and 500 T-cell mark. Many physicians who recommend starting sooner did so to make sure there is no damage at all to the immune system. The decision to initiate treatment will also include consideration of a patient’s comorbid conditions (additional diseases or disorders) and his or her willingness and readiness to initiate therapy. On a case-by-case basis, ART may be delayed because of clinical and/or psychosocial factors however, therapy should be initiated as soon as possible.